The O'Connor Crosstown stop will be at surface. 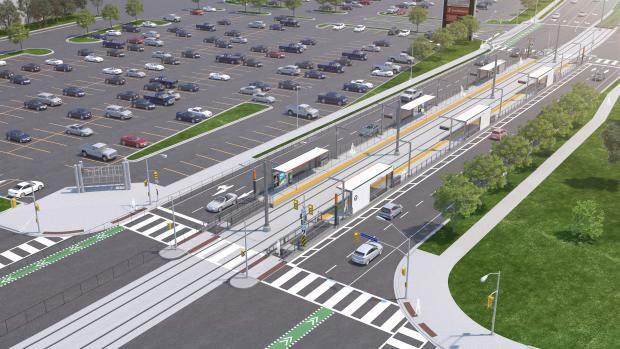 The accessible stop will be a parallel side platform, with the stop located between Victoria Park Avenue and Eglinton Square. Access to this stop would be provided from both ends of the platform.